What is a Professional Hair Straightener? A professional hair straightener is a salon product designed to straighten curly or frizzy hair for a period up to three months and is applied by a stylist with the use of a flat iron. They are not meant for consumer use at home. Popular brands include Brazilian Blowout. They are also known as keratin hair smoothing products. Brazilian Blowout and several other leading brands of hair straightening products have been found to contain high levels of formaldehyde (also referred to as methylene glycol), even when labeled “formaldehyde-free.” Formaldehyde is released during the heating process used in the application of the product. Formaldehyde gas is a dangerous pollutant that can be severely irritating to the eyes, nose and throat, and long term exposure to formaldehyde in the workplace has been associated with an increased risk of cancer. 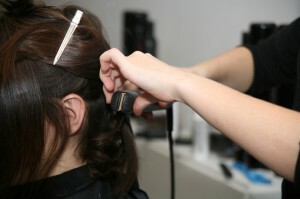 In April 2011, the federal Occupational Safety and Health Administration (OSHA) issued a hazard alert against the use of hair straighteners containing formaldehyde. Additionally, the Cosmetics Ingredient Review, an industry-funded panel of scientists tasked with reviewing the safety of cosmetic products, declared that they could not conclude that formaldehyde exposure from these types of products is safe. Have People Been Harmed by These Products? Yes. In 2010, stylists in Oregon and California were among the first to report problems they had with Brazilian Blowout, including difficulty breathing, nose bleeds, and eye irritation, to state regulatory authorities. The US Food and Drug Administration (FDA) has also received numerous complaints from customers and salon workers about similar symptoms as well as rashes, fainting and hair loss associated with use of the product. No health studies have yet been conducted to assess the degree to which these products may be increasing cancer risk in stylists or customers. What is Being Done About These Toxic Products? In the United States, these products are still available for use in salons. The Food and Drug Administration (FDA) is examining the data on these products and reviewing complaints from hairstylists who have used them, but has not yet recommended a recall. The Occupational Safety and Health Administration (OSHA) issued a hazard alert for salon employees warning against the use of hair straighteners containing formaldehyde. The California Attorney General has filed an injunction against the company that manufactures Brazilian Blowout for failing to warn their customers that their product contained cancer-causing formaldehyde. Other countries, most notably, Canada, France, Ireland and Australia immediately recalled hair smoothing products containing formaldehyde, based on their own testing results. It is unclear how many brands of hair straightening products contain formaldehyde because current federal regulations do not require manufacturers of salon products to disclose their ingredients. Under current law, it is legal for salon products to contain chemicals linked to cancer, like formaldehyde. Brands like Brazilian Blowout have claimed to be formaldehyde-free, but independent laboratory tests have revealed otherwise. How Do I Know Which Brand to Use? Love your curls! Skip the hair-straightening treatment until the federal government regulates these products and can confirm they are formaldehyde-free and safe to use. Go old school. Hair smoothing with a flat iron is a little more work, and will not last as long, but it can give you the same straightening results without the risk of dangerous chemical exposure. Demand change! Ask the FDA to recall hair straightening products that contain formaldehyde. Learn More. Click here for links to more information, the latest updates on the Brazilian Blowout controversy, and valuable information for stylists who need to know more.